Welcome to the Residence Inn Dayton North! Conveniently located at the crossroads of America near I-70/I-75, you will discover Dayton and so much more. Our extended stay accommodations feature fully equipped kitchens, large work area and separate living and sleeping areas. A diverse economic base, distinct cultural attractions, expansive recreational space and excellent city services showcase Daytons creative side. Our close proximity to the Dayton Airport and Wright Patterson Air Force Base allow you to stay close to many major companies. Before heading out into our exciting city, enjoy our complimentary Home Touch hot breakfast buffet and leave a grocery list at the front desk. Join us for The Mix Monday - Wednesday in the Gatehouse for complimentary snacks and drinks or purchase your favorites at our 24-hour Market. After a productive day, you can enjoy our indoor heated pool or 24 hour fitness center. 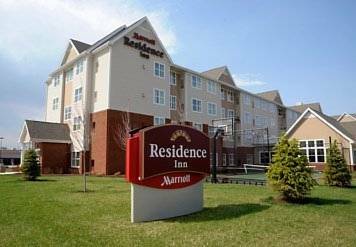 The Dayton North Residence Inn by Marriott is dedicated to exceeding your expectations!